During the Victorian era, strict social rules constrained women’s lives. It was scandalous for a woman to go out alone, eat in a restaurant without a companion, or travel without a chaperone. Women were expected to stay at home and attend to domestic duties. Thus, those who left their homes for employment or educational opportunities in urban areas faced major obstacles. A young woman in an unfamiliar city often had nowhere to turn for housing, support, or advice. 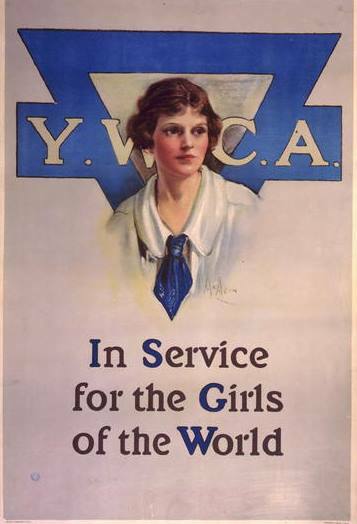 In the early twentieth century, YWCAs began to fill this need in Montana, where Billings, Missoula, Great Falls, and Helena all had YWCA chapters. In Helena, physician Dr. Maria Dean had become keenly aware that women and girls needed safe places to live. Young women came to town seeking employment and to attend the Helena Business College. Younger girls from rural communities also came to Helena to attend high school. Dr. Dean saw the YWCA as a solution and became the driving force behind organizing the Helena Y. The first members met in January 1911. They chose two young women from every church in Helena, including the Jewish Temple Emanu-El, to solicit new members. And they began greeting passenger trains at the depot, offering assistance to young female travelers who stepped off those trains. By the end of March, three hundred members had paid their dues. They raised funds and rented a one-room office downtown. Dr. Dean hired Frieda Fligelman, a young and prominent member of the Jewish community, as the first secretary. It was her job to find safe lodging for girls and women and counsel girls away from home. The Helena YWCA soon rented a house at 220 Fifth Avenue, and tenants immediately filled its nine sleeping rooms. Members opened a public cafeteria in the dining room, which became a popular, income-generating venture. A variety of lectures and classes in painting, cooking, and life skills at the home brought diverse women and girls together in fellowship. The Helena YWCA incorporated in 1912. Its purpose was to “serve all Helena women by offering them an opportunity to help themselves and others.” In one sense, the chapter was unique: in a bold expression of tolerance, it incorporated as an independent, going beyond the implicit restriction in the national Y’s charter that allowed only Christian members to participate in chapter management. Helena Y members could not imagine restricting chapter leadership by faith, especially since Frieda Fligelman, who was Jewish, was doing such tremendous work for them. Until 1987, it remained the only independent chapter in the United States. In 1918, under the able leadership of association president Mary Prescott, members broke ground for a new facility. 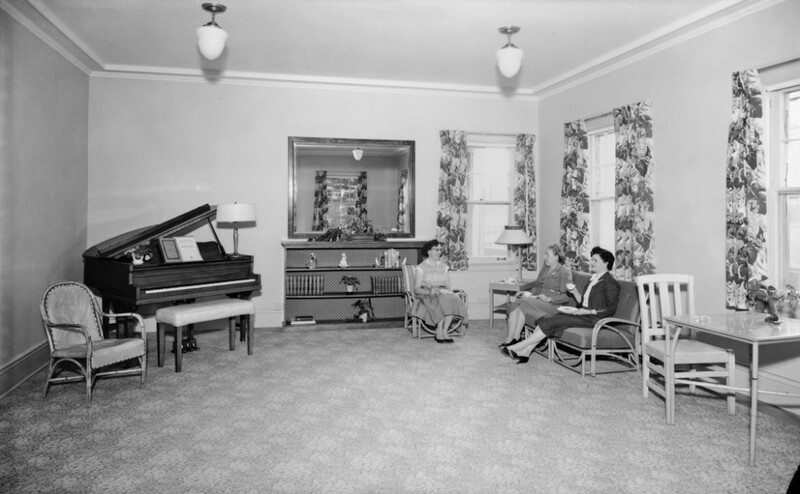 Built on donated land with substantial monetary donations from the community, the new YWCA opened in February of 1919, and the first women moved into its forty-three rooms. Throughout its long history, the home has sheltered hundreds of women, served as a gathering place for service clubs, housed dance studios and a preschool, and offered occupational classes. Baumler, Ellen. “Helena YWCA Independent: A Brief History.” http://www.helenahistory.org/ywca.htm. Lincoln, Marga. “It Takes a Community.” Helena Independent Record, December 7, 2008. http://helenair.com/lifestyles/it-takes-a-community/article_0974846a-d1e1-5add-9600-928d85334c79.html. YWCA. Montana Historical Society Research Center vertical files, Helena. YWCA, Helena. MC 346, Montana Historical Society Research Center Archives.